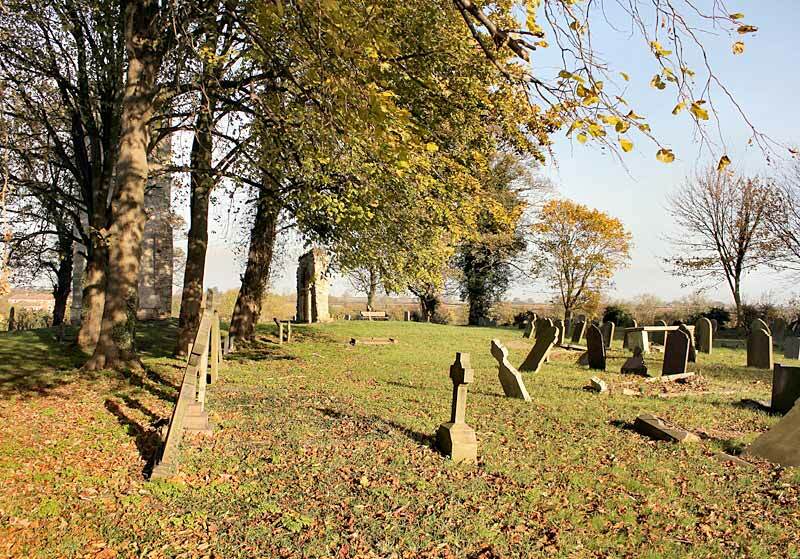 The churchyard is rectangular, approximately 95 m by 50 m, with the long side north-south and church is positioned at the northern end of the area. The whole site lies at the eastern end of the village and is bounded on the south side by the main road. All boundaries are principally hedges with a few mature trees interspersed. There are burials on all sides of the church but principally to the south, and modern burials appear at the extreme southern end. The field to the east of the church is the site of a deserted medieval village, scant details of which are known. The location of the church therefore makes more sense when seen in this context and may originally have been central to the medieval settlement.